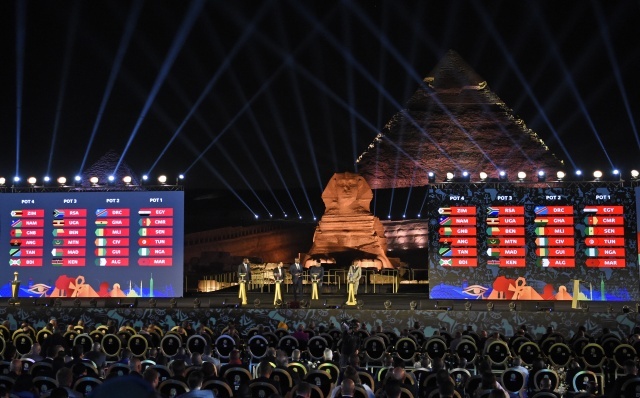 (AFP) - Under the gaze of the Sphinx, a spectacular Africa Cup of Nations draw in Giza on Friday night produced an intriguing set of groups that leave many riddles to be answered. Uganda coach Sebastien Desabre said: "Our chances in advancing will be tough because of the similar level of the teams in our group. It will be a difficult match-up facing the Pharaohs on their home turf amid their passionate fans." "Facing Angola in the opening matches of the tournament will decide the fate of which team will top the group," he said. French coach Herve Renard guided the Ivory Coast to a long-sought title in 2015 -- 23 years after they first conquered Africa -- and then switched to Morocco. South Africa are unpredictable -- they began the qualifying campaign with a stunning 2-0 win in Nigeria but could only draw at home to Libya the next time they played.